I have two points that I would put at the top of my list of ‘the most important things in business’ …but before going into them, I would like to set the scene. Having spent much of the past 31 years’ starting and running my own businesses, my views are strongly influenced by the experiences of being an owner manager. One key observation that I would make is that the things that were important to me changed as my businesses evolved. In most cases cash was very important at the beginning with the current month’s bills being paid by last months’ collections. As the businesses grew cash was less important to day-to-day survival but we never forgot the importance of cash and we always monitored it very closely. I remember doing a large deal on relatively low margin by our standards because the client was happy to pay in advance which helped to fund further growth. We also used invoice discounting at one point and having found it to be such a useful and flexible tool we continued to use it even though we strictly no longer needed too. In the early stages of a new business all sorts of things seem like luxuries so, for example, very few start-ups think much about quality accreditation or branding when the key thing is to find some customers and successfully deliver what they do or make. Of course if time and resources would permit, then getting a quality accreditation and spending money on branding would probably increase the chance of the company becoming a success but this is typically only possible if the company starts with investment funds. So, one parameter in judging what is important is the point in the business life cycle and another is how the business is funded; externally or internally from generated revenue. Another dimension to consider in this debate is what the company actually does. For example, a business that is writing exciting games software will be driven by innovation and its ability to recruit and retain high caliber technical people. It will also have close to the top of its list of “most important” protecting its IP. However, for the company that provides office cleaning services, innovation and IP protection will never appear on the radar whereas finding and motivating staff to be reliable, honest and consistently good at what they do will always be very important. I think the two things that will always matter to any business regardless of what they do and where they are in the evolutionary cycle are; the ability to find customers who will buy and the ability to consistently deliver to a quality that brings customers back time after time and also provides a source of referrals. Creating customers who will buy from you is all about marketing and selling and if these skills are not present in the founders then they should go out and find people with these skills as soon as cash permits. If a company cannot consistently deliver to a quality that delights the customer all the hard work that went into finding the customer in the first place will be wasted. Poor customer satisfaction will impact negatively on; cash collections, margins, repeat business, references and referrals. Poor customer service also has a negative impact on staff moral as it leads to tension between management and delivery staff. Make sure you can sell it and make sure you can deliver it. 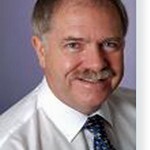 42 years experience in professional selling – the foundation to his five successful businesses. Performative’s main business focus is on helping their customers to improve business performance through a unique approach to transforming their selling performance. Experience spans small owner managed businesses through to global public companies. Phil has a wealth of experience and special knowledge of off-shore business models, with experience in the UK, mainland Europe, the USA and India. Phil has experience of some 130 ACE speakers so he knows what a speaker must do to deliver good value. When Phil is engaged to speak he does so from the position of an experienced business person not a professional speaker so he’s all about substance over style. Posted in: Business Performance, Leadership.